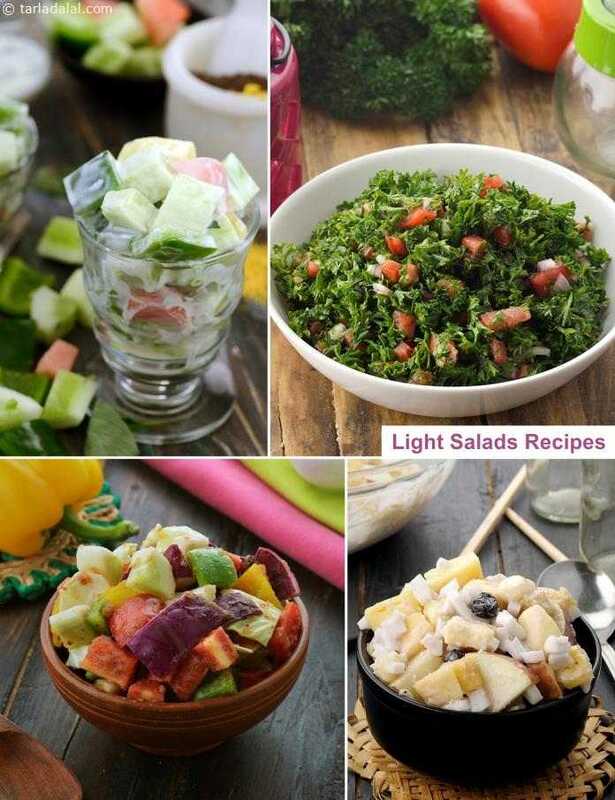 With few ingredients, these Light Salads are easy on the tummy. Their preparation is quite trouble-free too, and so they can be quickly tossed up to answer sudden hunger pangs! Try your hand at tasty treats like the Bean Sprouts and Suva Tossed Salad, Cherry Tomato and Methi Salad and bid adieu to unhealthy snacks. Fresh, crisp lettuce, boiled kabuli channa, paneer cubes, tomatoes, olives, and spring onions make a vibrant-looking salad. The olive oil infused with garlic and chili flakes is tossed in with the salad for a lovely treat!